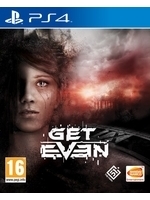 Since the PC code of Get Even we were sent 2 days ago could not be unlocked before the game's release, we only have a bunch of videos to share today. We'll try to give you our verdict later, provided we can arrange a livestream with Olivier Derivière (him again! ), who is reponsible for the game's soundtrack. Let us remind you that, despite being published by Bandai Namco, The Farm 51's title should be considered as an indie production, which explains the entry price of €/$29.99. 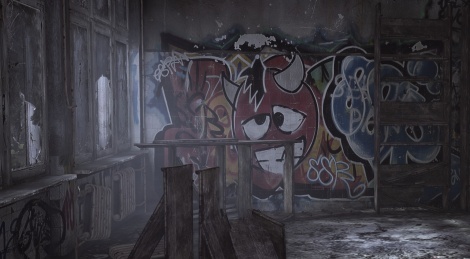 Well using the photogammetry technique without any kind of PBR and plain flat textures will give this result. I wonder why they didn't bother to upgrade the engine to implement those necessary techs, Injustice 2 and Outlast 2 are proof that you can still make the old UE3 engine look on-par with current gen standards. 29,99€ is too expensive for PC game, same price is for PS4 RETAIL, where i can resell.